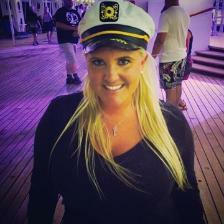 CALL Emily Bell TO BOOK YOUR CRUISE. Prices are subject to availability. Please contact Emily - information above. The cabin deposits have been made on behalf of each participant and the deposits are more on the balcony cabins. 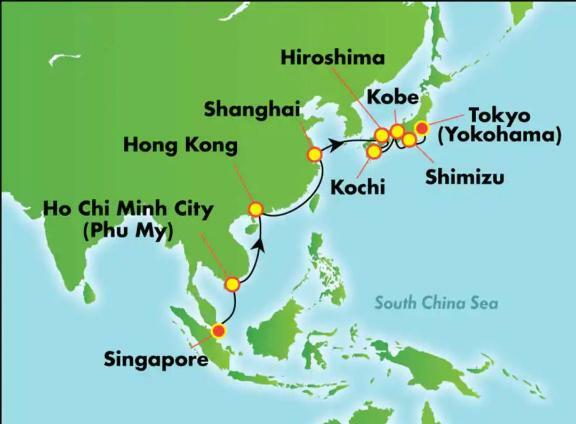 everything about the cruise and start booking excursions. Each cabin will also have a $50 on board credit. Deposit is required to secure cabin number and location. Connecting cabins, specific locations, or accessible rooms should reserve immediately. IX, OX, BX, & MX Categories cannot be included into group & do not qualify for perks. paid at the end of the cruise the daily rate is $15. Taxes are per person for the total trip regardless of cabin. Taxes will be $229.33 and are included in the fare below. All fees include a $350 noncomission fare to NCL. to have a single supplement, the cruise line will charge you double fare. just the menu to help you feel your best. gastronomic desires are sure to be fulfilled. activities and is continuously offering new ways to enjoy Shanghai. grilled) serve as an additional fresh and delicious culinary draw. cuisine. Named after its origin, famous Kobe beef is one of the delicacies to enjoy at the many gourmet restaurants. Japanese wooden handcrafts and fabrics unique to the region, and sample some yokan, a sweet jellied confection. fifth visit to the city, Tokyo will captivate your imagination. Things to know before you call. remainder of your fare and all the amenities.